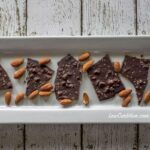 I’ve been trying to get back to a dairy-free paleo diet. It’s tough because I keep getting food samples with dairy in it like the goodies in my monthly low carb subscription box. 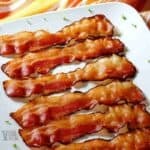 I know a lot of people following the keto diet rely on diary products, so I haven’t eliminated ingredients made from cow’s milk completely from my recipes. However, since I’ve been battling with a couple autoimmune diseases, I’m avoiding dairy. 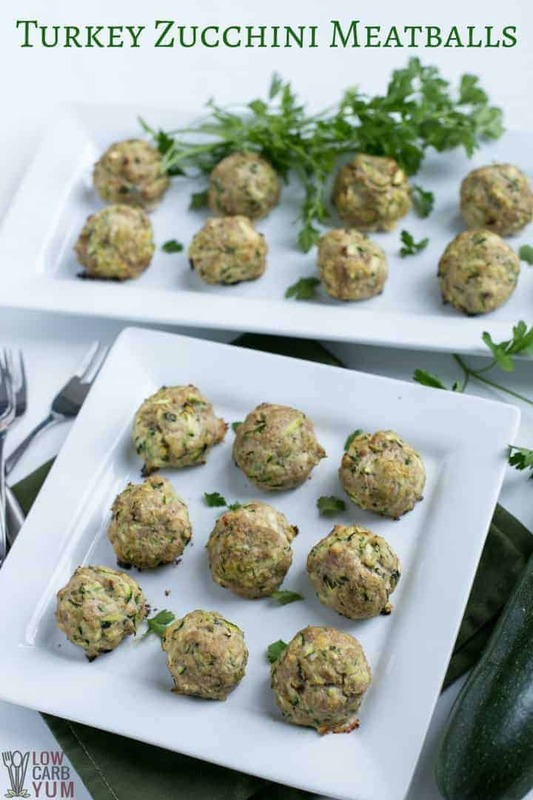 So, I’m working on creating more paleo recipes like this one for baked turkey zucchini meatballs. 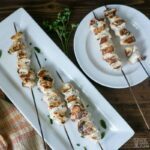 Although I used ground turkey in the recipe, you can use ground chicken or a mix of the two. The great thing about adding shredded zucchini to the mix is that it keeps the meat moist. 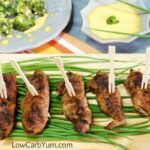 The meatballs are pretty tasty on their own, but I served mine with low carb marinara sauce. Next time, I’ll make a triple batch so I can freeze some of the cooked ones for later. Pre-baked meatballs are great for making ahead and keeping in the freezer. One of my favorite ways to use frozen low carb meatballs is to slow cook them in the crock pot with some sauce. 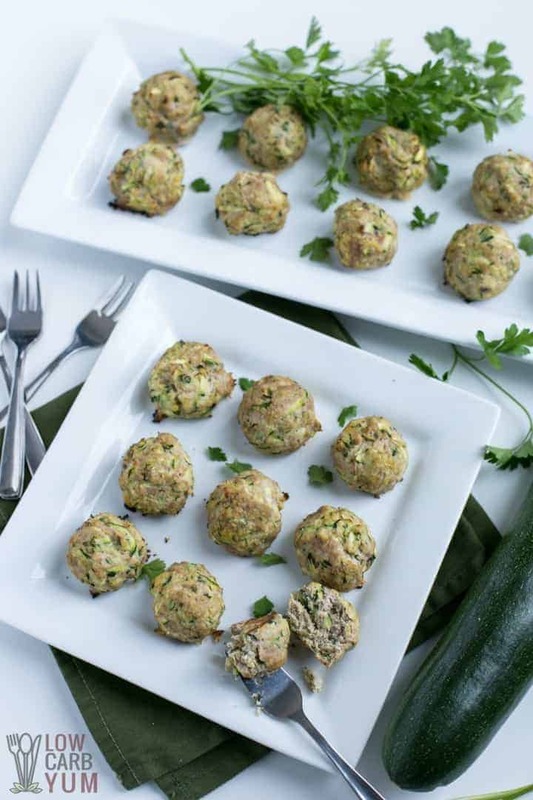 These chicken or turkey zucchini meatballs can be fried in oil on the stove top. But I prefer to bake them in the oven because you can cook a lot at once. However, if you like the crisp dark edges, frying does a much better job getting those. The meatballs can be placed under the broiler to brown the outside, but it’s not the same. Convenience always wins out for me because I don’t have the time to babysit a pan on the stove. That’s why I always bake my meatballs so I can walk away. Now, if you aren’t dairy-free, you could place a small stack of cheese in the middle of each meatball. You can even make them giant size like the ones on My PCOS Kitchen. 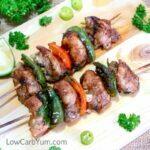 Although they are meant to be made with poultry, ground beef or venison would work too. When I use ground beef, I always buy the grass fed meat. That’s one of the reasons I like to eat mainly venison when I eat red meat. It’s wild, local, and not fed grains unless feeding in a corn field. I used to get upset at the thought of eating deer meat. But, then I started thinking about the lives that most farm raised animals live. We live in the middle of nowhere and it’s not uncommon to see a herd of deer or turkey grazing in our yard. So, if it weren’t for hunting, many of these wild animals could become overpopulated. 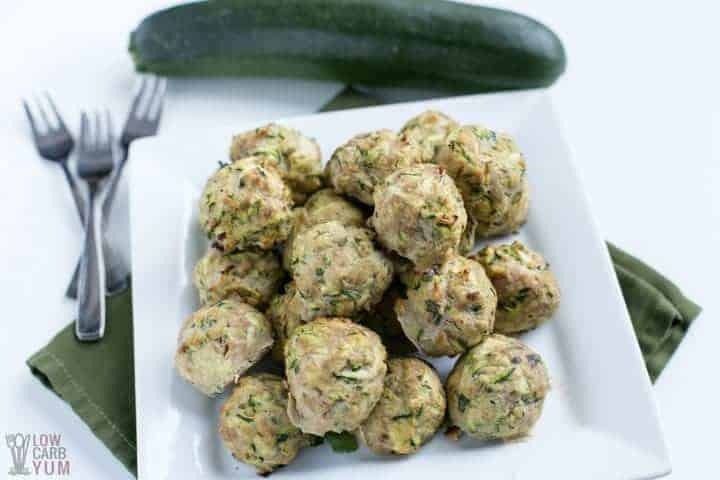 I’m going to give this turkey zucchini meatballs recipe a try with ground venison burger. I think it would be just as tasty. 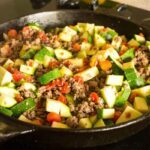 Plus, venison is a very lean meat so the added shredded zucchini would make the meat juicier after baking. I use zucchini in my baking as well. 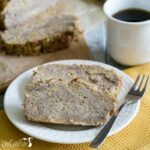 It’s the shredded zucchini that makes my low carb chocolate cake so moist! Have you tried it yet? I get compliments on the cake every time I bake it. I’m hoping that the weather this summer will be good for the zucchini plants. Last year, we ended up with a lot of the green squash from our garden. 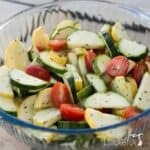 Need a few more ideas for using up zucchini? Take a look at the zucchini fries, healthy zucchini nachos, and zucchini Carbquik pancakes. 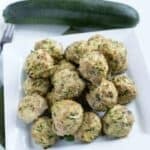 I’ll be filing this baked chicken or turkey zucchini meatballs recipe in with my favorite summer recipes. And, if it’s another great year for zucchini, I’ll make plenty to freeze for easy meals later. It’s been a really long winter here in Connecticut. The temperatures have been cold and we’ve had some snow in April. I guess the groundhog was right this year when he ran back into his hole. It’s been unseasonably cold for the start of spring. I’m hoping this trend doesn’t continue or I’ll have to work harder to get my husband to move south. We still have a lot of family in the area which keeps us here. But, both my husband and I are self employed. However, his business relies on local ties so it’s another reason why we’ve stayed in Southern New England. Of course, the MarcAurele Wrestling team would be lost without my husband coaching. And, the team has become a second family for us. Although the wrestling club used to be a small business for my husband, he turned it over to the non-profit organization Blue Beast Athletics a few years ago. 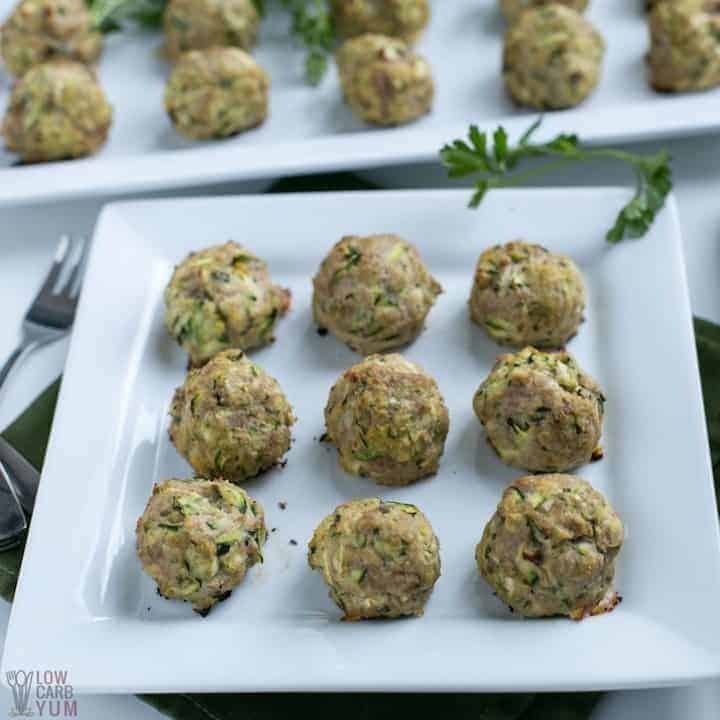 Easy to make ground chicken or turkey meatballs baked in the oven. The shredded zucchini ensures that the meat stays moist. 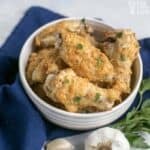 Makes a tasty appetizer! Mix all ingredients except olive oil in a medium bowl. Drizzle olive oil on 1-2 rimmed baking pans. 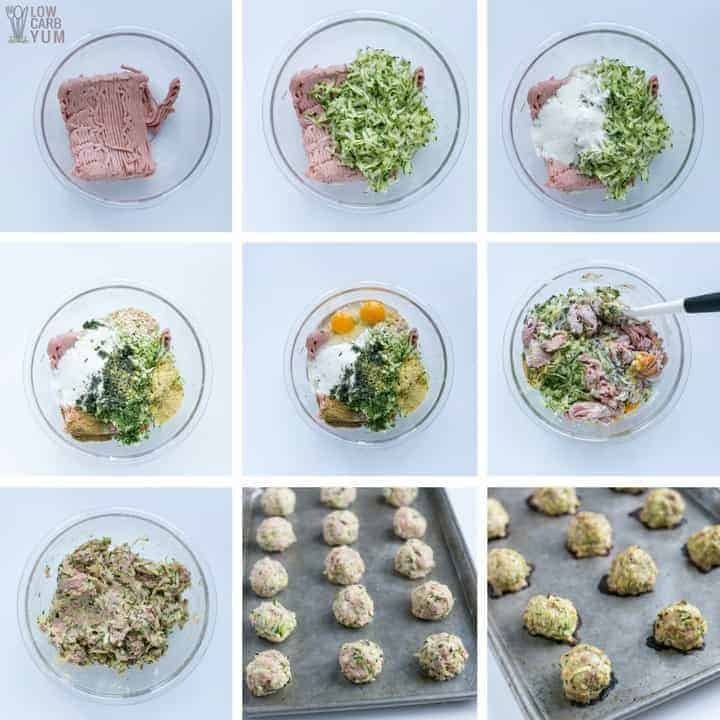 Shape meat mixture into 21 meatballs and place on prepared baking pans. Bake meatballs for 18 minutes or until done (165°F) and browned on outside.